FAIRFIELD — It’s becoming an annual experience in town, much like the swallows returning annually to Capistrano but less pleasant: hawk attacks. 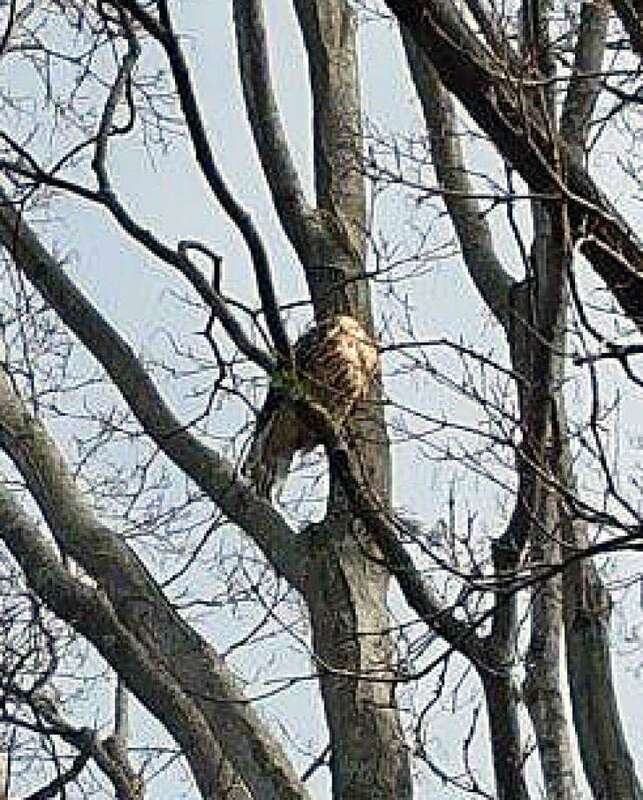 Since late March, there have been four hawk attacks on Dunnlea Road, according to Animal Control Officer Paul Miller. The incidents this year all involved people who were walking alone, according to Miller. All described the hawk swooping up behind them. There were no serious injuries. Last year, a mail carrier, a jogger, a landscaper and someone out for a walk were victims of hawk attacks. All but one of the incidents took place in the Old Mill Road area with the last in Greenfield Hill. Dunnlea Road and Old Mill Road are both close to the Mill River, where hawks like to nest. If the nests do not hold any eggs, they can be removed by the town, without any special permits or permission. Last year, firefighters used high pressure hoses to dislodge three nests. That was not the case in 2012, when students at Fairfield Ludlowe High School found themselves in the crosshairs, as did a cyclist who was knocked off her bike by one of the raptors. A falconer from the U.S. Department of Agriculture was enlisted to remove one of two nests. The hawks are typically red-tailed or red-shouldered hawks. Commonly a forest-dwelling bird, the red-shouldered hawk can be found in the eastern United States and California, according to Cornell University’s Lab of Ornithology. It can grow up to two feet in length, with a wing span of 42 inches. It is perhaps the most vocal American hawk and is known to eat small mammals, birds, reptiles, amphibians and crayfish, according to the ornithology lab. Nests are often assembled in the main crotch of a tree near the water and looks like a large bowl made of sticks, dried leaves, strips of bark, Spanish moss, lichens and fir conifer twigs.